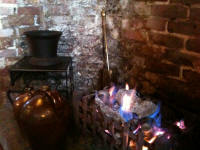 We have two traditional bars, both offering their own individual styles and both with open fires. The Lounge Bar being a quieter more relaxed environment, with round tables and a spiral staircase whilst the Public Bar has a more active atmosphere. 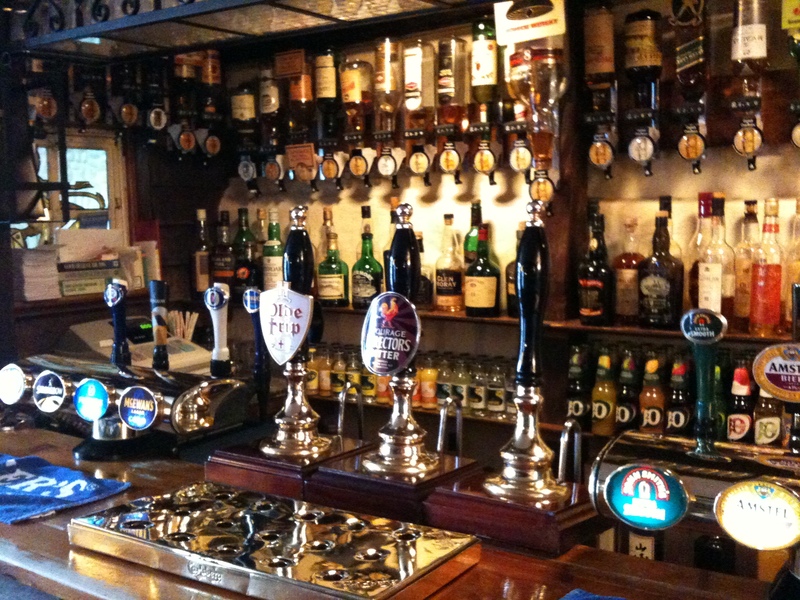 The Bars are recognised for selling quality real ales, i.e. 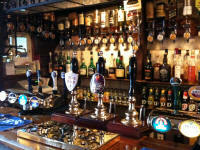 Courage Directors, Woodfordes Wherry, Ruddles County and other guest ales. In addition, we offer a fine selection of wines from all over the world and a selection of over 50 malt whiskies. All menus are served in both bars from 12 – 3pm and 6.30 – 10pm, whilst drinks ~ including tea & coffee, are served all day.